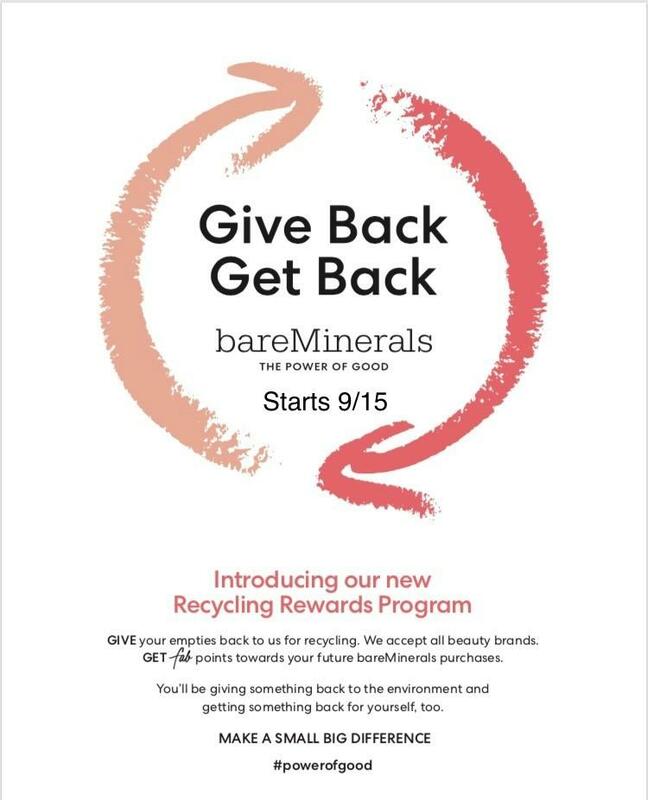 September 15, 2018: Bare Minerals launches a recycle program! Customers can bring in empty cosmetic containers (any brand) and receive points toward their bareMinerals loyalty program! Receive 5 FAB points for each empty makeup container, up to 5 per day, (fragrance and body/hair care containers not included).